Do you love sewn items? 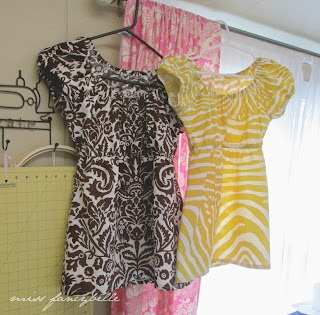 Wondering how to get started in sewing? Maybe you already know the basics of sewing, but want to take your skills to the next level? Today I'm sharing four of my favorite sewing books and why I love them! All of these books are great for beginners, but also perfect to keep on hand when you've become a more experienced sewer. Here we go! If you want to start out sewing things the "right" way, and avoid a lot of beginner's trial and error, then this book will get you there. If you're not familiar with the author, Carla Hegeman Crim is also known as the Scientific Seamstress and she partners with designer Jennifer Paganelli on her Sis Boom sewing patterns. And I LOVE Sis Boom! 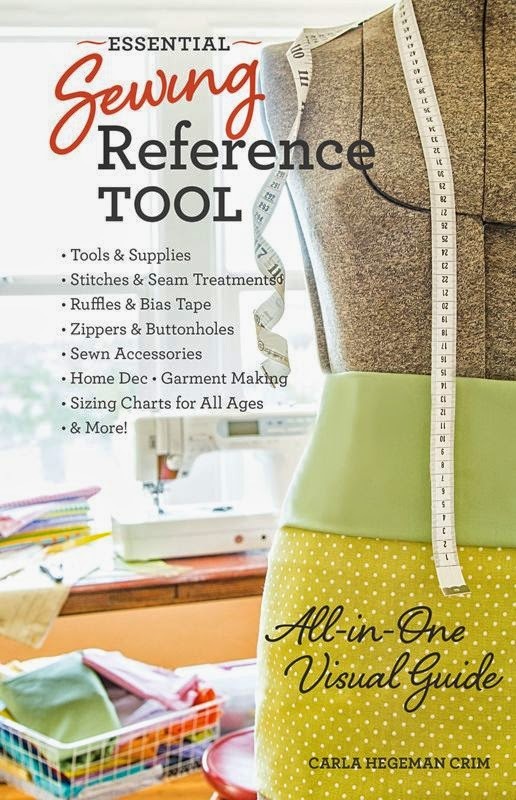 In any case, this little purse-sized reference book keeps a ton of valuable, and accurate, sewing information at your fingertips. No need to rush over to the computer or hunt down your phone to Google a single thing. Plus, there's an abundance of useful charts and quick reference tables that intermediate and advanced sewers will use time and again. Honestly, I wish this book had been available to me when I started out. I love gifting it to whoever I can! Oh man! Doesn't that title just inspire you to run wild at the fabric store in hopes of crafting a whole new wardrobe for yourself? If it doesn't, them take the time to page through this beautiful book online or in person and you won't be disappointed. This book talks you through the basic fundamentals to approaching a sewing project while including excellent sewing information in a gorgeous format. I was first enticed to purchase The Colette Sewing Handbook because it includes 5 ladies sewing patterns. And in my world, that really justifies the purchase price! I was already a fan of Colette Patterns' digitally downloadable patterns, especially the Laurel, so I was thrilled to check it out. I have personally sewn the Pastille Dress and the Licorice dress from this book and was extremely happy with the results. If you are looking to sew your own clothes, you can't go wrong starting off with this must-have sewing handbook. Okay, time to bring out the heavy hitter. How could I talk about sewing books without including a giant book from a giant in the craft industry? 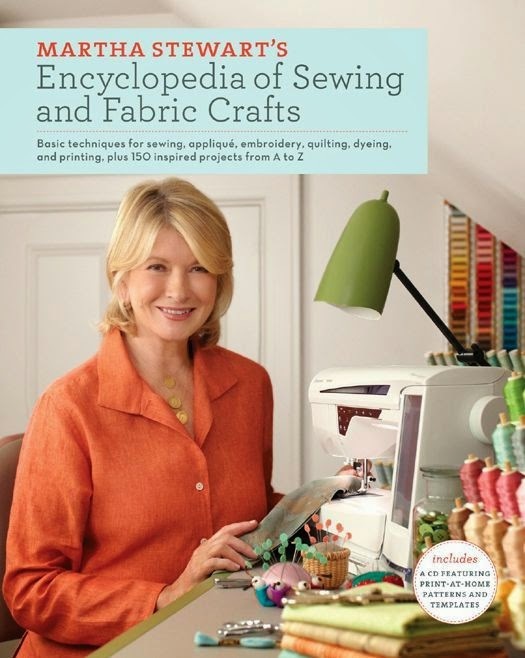 Martha certainly knows her way around a sewing machine, and proves it with this go-to reference book. The 150 "inspired projects" that are just plain fun to page through. I'm sure many, if not most, are available on Martha's website or elsewhere, but I think it's so much easier to have them organized to inspire, rather than hunting them down one-by-one online. I love this book because it features a wide variety of sewing-related skills that will take your projects to the next level and beyond. Not only sewing, but we're talking applique, embroidery and quilting. These are facets of sewing that most sewists want to try at some point on their creative journey, and should be empowered to try. My own first sewing project was a hand-embroidered table runner that my Grandma Kay walked me through as a child. I still use those embroidery skills today. BOOM. I LOVE this book! Author Tanya Whelan is also a textile designer with a vintage modern aesthetic that I totally go for. I've used her fabrics in several projects so I was super excited to find this book at my local library. I actually don't own it yet (it's on my Christmas list!) but I feel like I'm always requesting or renewing this book from the library...and for good reason. It contains a wide variety of surprisingly simple yet fantastic patterns that any young lady, mom or grandmother would love to try out. Bags, baby things, clothes, stuff for your home...the projects are all very fun and relevant to everyday life. This book is a great choice for beginners and those who have the very basics of sewing down, plus those intermediate sewers who are interested in patterns with style and simplicity. 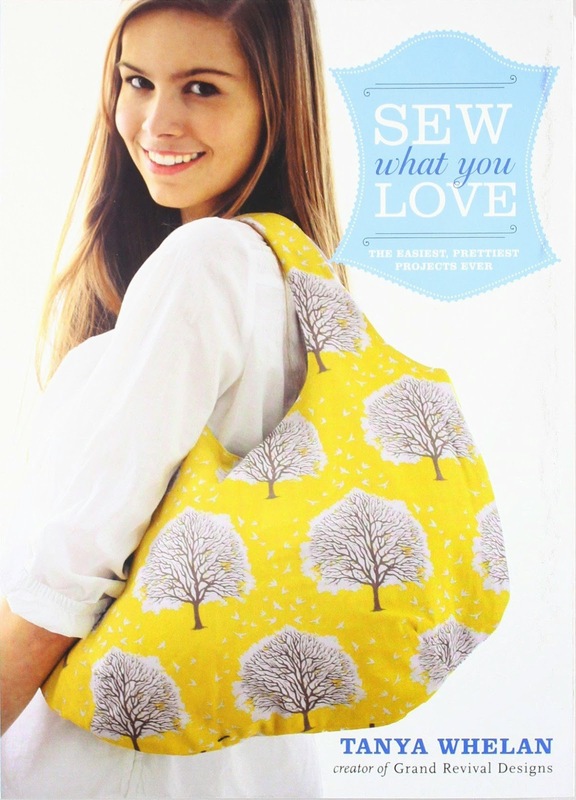 If you're just thinking of picking up sewing as a hobby, I think this book will convince to take the plunge! The author's clear and concise instructions are so welcoming to novice sewers, and the charming patterns will help you have quick success with your sewing. There you go...my four favorite sewing books and why I love them! Have you read any of these? 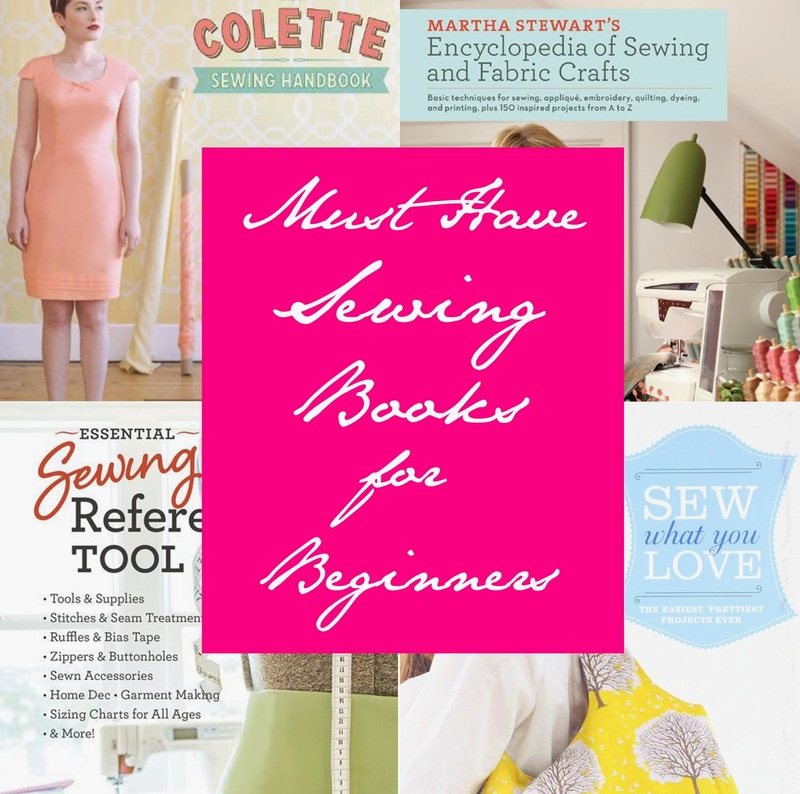 What are your favorite go-to sewing books? I'd love to hear all about them! I'm just super thrilled about reviewing this pattern! If you've been looking to sew something cute for your little girl in an afternoon or so, the Leighanna peasant pattern by Sis Boom is the perfect choice! This is a very simple project that's perfect even for the most beginningest of beginners. Plus there are a lot of opportunities to put your own creative spin on this basic dress pattern for more advanced sewists. I really can't say enough about how easy Sis Boom patterns are to work with. Now that I've been sewing for several years, I really appreciate a PDF pattern that allows you to print off just the size that you need. So much faster and easier! Also, if you're a fan of the "mommy and me" matching outfit look, Sis Boom often features the ladies adult version of children's garments, and vice versa. In fact, I just finished sewing the Devon ladies peasant top to match my daughter's Leighanna dress and hope to write a review of it later this month. This pattern has a size range of 6 months to 14 years. I chose size 3/4 for my girly girl, only because she's quite narrow. Good thing you can customize the dress and sleeve length very easily with this pattern. It includes several charts to give you a guideline, along with whatever measurements you've taken. I love those charts, because my "model" is often at school or in bed when I have a chance to sew and I tend to second-guess my measurements anyway! I chose to use contrasting fabric for the sleeves and ruffle along the bottom hem. Really, the sky's the limit with customization here! The dress I made below was done with the bell sleeve with ruffle option, but I did lengthen the ruffle by a few inches for extra drama. It's important to note that this pattern does not require a zipper...there is only one simple elastic casing to deal with along the neckline. Truly a fast sew! But I must add that when I sew this again, I will baste down the facing before sewing the neckline casing seam, just to ease the insertion of elastic later. I found that the facing created a kind of pocket that my fancy elastic inserting tool (AKA safety pin) kept getting stuck in! If you're sewing the Leighanna and have any questions, don't hesitate to comment on this post and I'll help in any way I can! 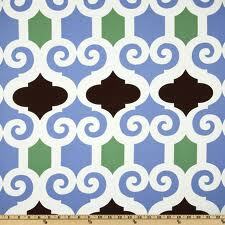 This pattern would be perfect for a sew-a-long and to fill out a young girl's fall/spring wardrobe. I already have another one in progress for my daughter! Or quilt-along? This month I am embarking on a sew-along based on Tula Pink's fun City Sampler: 100 Modern Quilt Blocks book! My friend Katherine from Aurora Spitfire is hosting this sew-along with Lesley from Duckadilly. Here is the timeline and our Flickr group if you'd like to join in on this Tula Adventure! The best part is that you can work at your own pace and this sew-along gives you plenty of time (ends Dec 8) to finish up. Hi there! We just finished up our Colette Patterns Laurel dress sew-along and I will post a pattern review along with photos of my finished dress very soon. It turned out great! My friend Cara from My Little Lady Designs made herself a Laurel top and it's super awesome!! For now, you can check out pics HERE at our Flickr group. 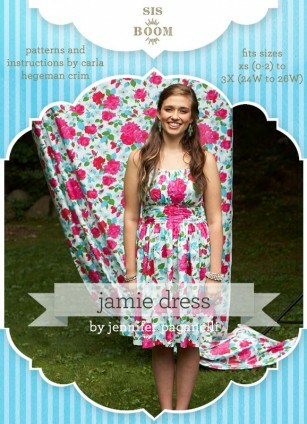 We took a little break afterwards and starting today we're going to tackle a Jamie Dress Sew-Along, pattern by Sis Boom. Mine will be in Jennifer Paganelli's beautiful Eloise fabric shown in the pattern example photos, and perhaps I'll do another in a yet to be decided fabric! Excited to keep you updated on our progress! I think our next sew-along will be Sis Boom's Vanessa, which will be perfect for the upcoming hot summer months! Can you tell that I'm becoming a Sis Boom pattern collector? They make it too easy with all the convenient digital patterns. 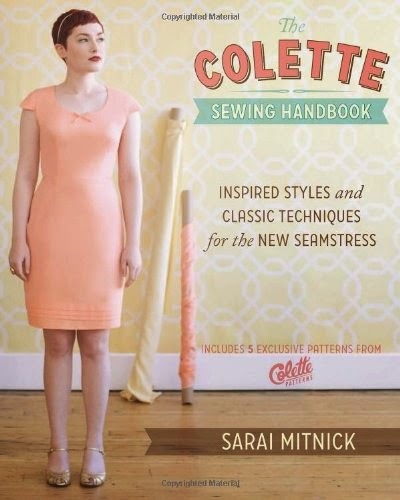 :) I'm also planning a few projects from the Colette Sewing Handbook, which arrived at my house from Amazon last week. I'm really looking forward to soaking up more sewing technique knowledge as I dive into that book. The Truffle dress especially seems flattering and fun to sew! Looking forward to all these fun sewing adventures ahead! 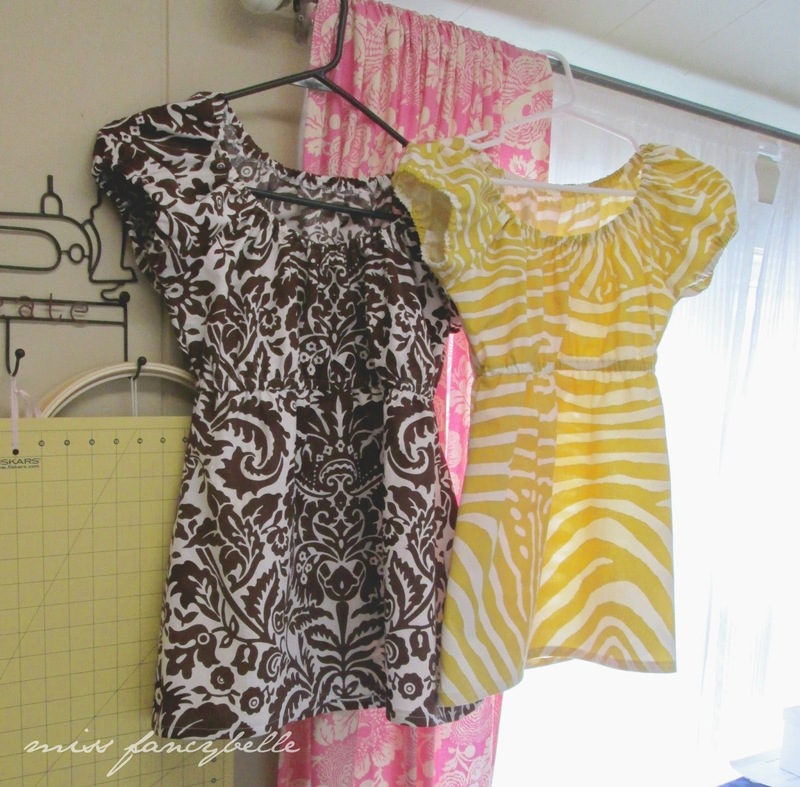 Laurel Dress Sew-Along Begins Soon! Next week we're starting a sew-a-long of the new Laurel Dress pattern by Colette Patterns! You can follow that link to purchase a PDF pattern if you want to join us in showing this very cute and versatile shift dress. Then all you need is some fabric and a zipper, I guess! If you want to join in, here's a link to our Flickr page: April 2013 Sew-Alongs. We'll be posting photos of our work as we go along and sharing our progress! Can't wait to see how this dress turns out. There are a lot of little options available on the Colette Patterns' website. I'm still debating whether I want to add the pockets or not. I'll have to figure that out pretty soon!! :) Have a great day! Sis Boom patterns are typically very easy to print, assemble and understand. This is a very simple project that's perfect for a beginner! I wanted my Meghan to be a hip-length top so I cut my body pieces to a length of 15", then added 1 1/4" for seam allowance (total: 16 1/4" in length). Of course, I'm quite tall at 5'10", so you might want to adjust yours according to your own measurement. The pattern states that if you want a more fitted peasant, you should go down one size. Still, since I'm usually a medium, I cut a medium...but now I wish I had done the small. Oh well! An adjustment I did make was to cut all my elastic pieces an extra two inches longer than the pattern called for. I just didn't want anything to be tight or constricting! Also, the pattern calls for hemming the body/skirt pieces before attaching them to the bodice. I wouldn't do that next time around. After I tried on my finished Meghan, I realized that I wanted a closer fit in the body, so I took in both my tops over an inch on each side seam. Obviously, it's much easier to hem a garment after making adjustments for your own body type. Overall, this was a very quick sewing project. I think I could've finished sewing both garments in about 2-3 hours...if I could get that many solid, uninterrupted hours!! I definitely love sewing Sis Boom patterns, you really can't go wrong if you decide to give them a go! Here's the Flickr group I created to share photos: April 2013 Sew-Alongs. Should be great fun and will definitely put us all in perfect Spring mood by the start of May! !